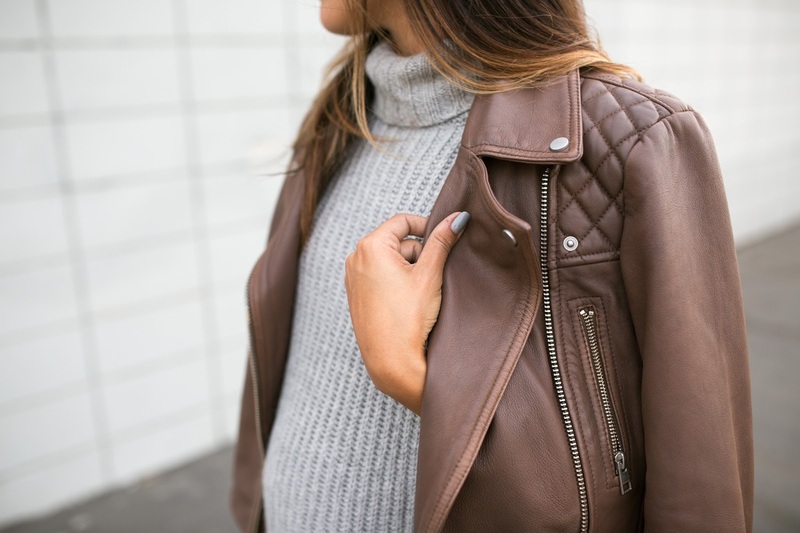 I'm a sucker for neutrals and this turtle-neck sweater was just calling my name. 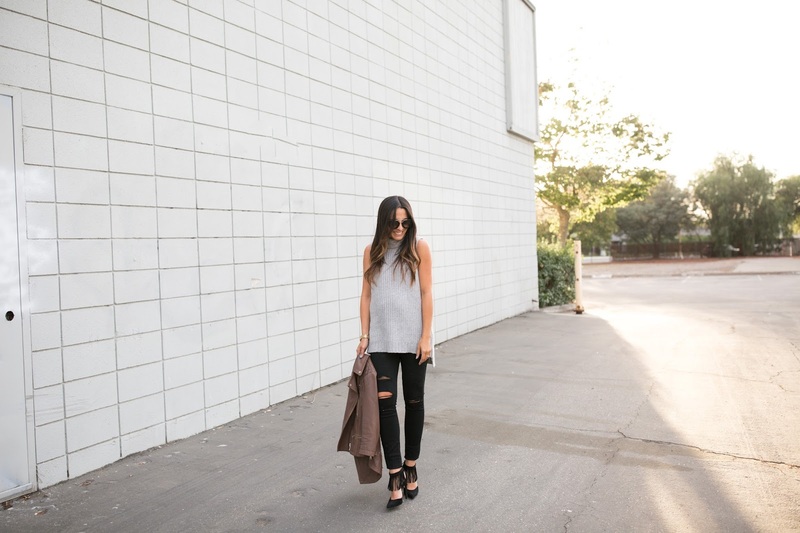 Paired with cute fringe heels and soft leather jacket, I'm ready to make a statement for fall. I'll say it before and I'll say it again, I'm a Marshalls girl through and through. Reason #2486 - hello, Stuart Weitzman fringe heels for $95. I couldn't resist the sleek silhouette and amazing fringed ankle straps. I mean, come on! Especially when these bad boys retail for over $500. It was such a surprise to spot them sitting on the shelf and I felt like I hit the jackpot! 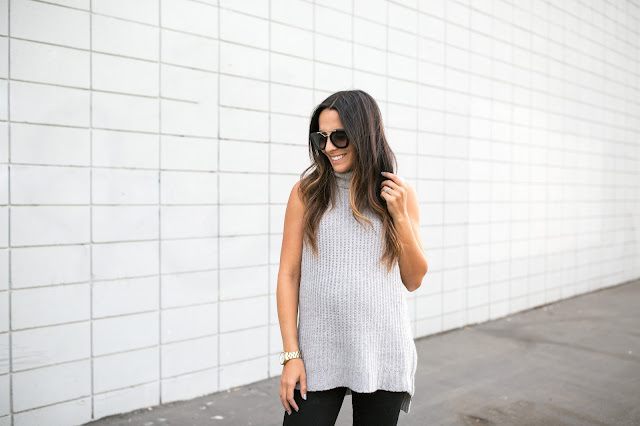 I've been leaning more and more towards picking up neutral items for my closet, so when I spotted this turtleneck tank in a beautiful grey color I had to pick it up. It's by a great contemporary brand called J.O.A and they just get it right! It has a cute zippered detailing and a thick woven fabric; I sized up to a medium to not only fit my bump, but also for a oversized fit. 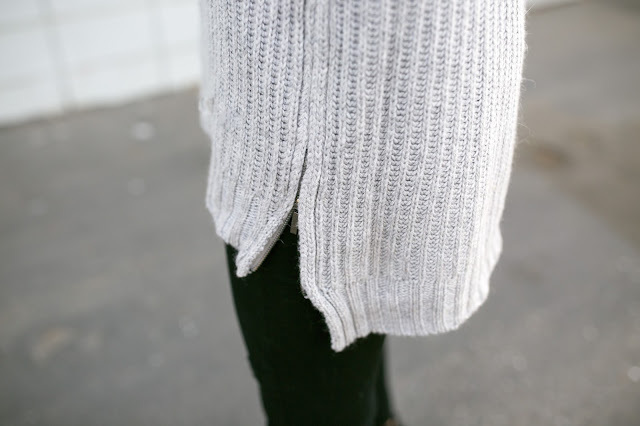 I know I'll be wearing this sweater on repeat, at least until my belly gets too big. We are in the final stage of our home remodel and I couldn't be more excited. Nick, Uriah and I have been walking through warehouses and warehouses of stones trying to find the perfect one. It's been harder than I thought! We absolutely love marble, but not the upkeep and maintenance that comes with marble. We found a few stones we like, so we are heading back today to finalize our pick. I've been sharing lots of behind the scenes on snapchat, but will share a full recap on the blog when it's complete. Until then we are ordering lots of takeout and eating out of paper plates/bowls.